Wrestling is a sport that includes grappling techniques like clinching, join lock, take downs and other. It can be theatrical or competitive. 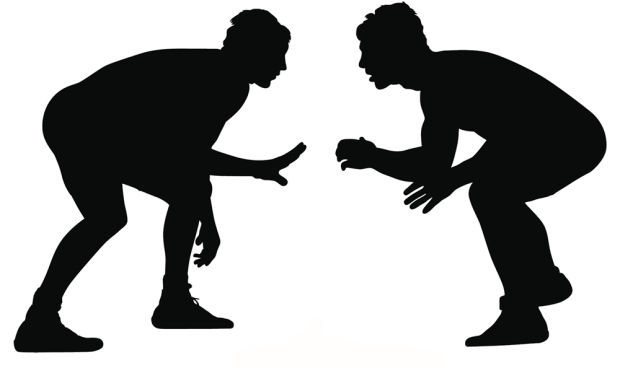 This sport is a physical competition between two wrestlers, where one tries to achieve superior rank. You need a coach for conditioning you correctly, just to know what is right and essential for you. Either you need to work on your moves or lose muscles. The coach is the only veteran to season you about what is good for you probably. Wrestlers should know the basic moves and knowing is not about getting the knowledge, you need to practice the moves too. These basic steps will help you become natural in match situations. Learn the moves perfectly so you can get out of that position and protect yourself from a dangerous situation. It is the most important escape move to perform a sound stand-up. You need to consider all steps and practice as much as it takes you to the perfection. Many wrestlers starve for days without eating. They end up becoming week and find themselves too week to participate in practice. Or if they gain weight then they only go out and binge. This cycle continues endlessly in every wrestler's life. It is better to eat smartly in many time slots. Keep yourself away from fatty food. If you don't know how to perform a move, It is better to ask. Never feel pride to try it in your way, if you ask and practice, then you will feel right in the match. Practice moves as much as it leads you to the perfection. Because when it comes to fighting a match, you will feel confident. You should always try the moves, which you have practiced earlier, during the match. Always learn new and more moves than your opponent. When it comes to fighting the match, your opponent will have a hard time while countering you. These are some helpful tips when you begin with wrestling.